What will you do the moment you realize that your Cadillac key is missing? The only thing that you should do is to get Cadillac key replacement immediately. You may end up unable to enter your car in the wee hours of the morning. We will be there to help you out. We can provide Cadillac key replacement for your CT6, Escalade, ATS, ELR, and XTS. If your Cadillac car model is not listed, no need to worry – just call us and we will provide the key replacement that you need. One great thing about our services is they will not cost as much money as compared to getting key replacement from car dealers. Dealers will require a lot of documents and may get your car key ready after a few days. This will not work if you need your car keys to be available at the soonest possible time. There are also some car dealers who do not have access to the codes that are needed for your keyless remote. We will make an effort to provide the services that you need whether you need Cadillac key FOB or all of our other services. You can give our customer service representatives a call if you want to know more details about our other car locksmith services. They are more than willing to provide the details you need. Do I Need Key Replacement Immediately? You have realized that you do not have your Cadillac car key anymore. What should you do? The best option is to find a key replacement immediately. You can get it from a dealer but this might take some time. It will cost you a few hundred dollars too. This is not ideal if you do not have a lot of money. You do not need to contact your car dealer to get a new key. We can do Cadillac key FOB programming if you need it. The best thing about all this is that it will not take a lot of time. Just give us a few minutes to provide your key replacement and you can use your vehicle immediately after. That will be so convenient, right? 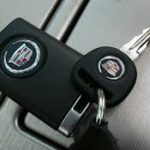 Whether you need Cadillac key FOB programming, or you just need the regular Cadillac keys made, you need to have the right locksmith that can provide all of the services you are searching for. Bobcat Locksmith provides the best prices for the various services available. Just imagine getting the service and expertise that you want without having to spend a lot of money in the process. Take note that newer Cadillac models will require car key programming. Take note that it is not evident in the beginning especially since the car key looks normal. Cadillac car key replacement is required if your key is not working anymore. If your car key is not lost and you just want to have a spare key, you can research first. Take a look at the different locksmiths available before making a choice. The right locksmith will make a lot of difference. For Cadillac car key replacement, you can only trust Bobcat Locksmith. The first thing you have to do when you lose your car key is to call Bobcat Locksmith. Tell our customer service representative the reason why you have called. Take note that you may call no matter what the time is. 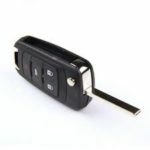 You may request for Cadillac key FOB programming if you believe that your key requires this. The standard key is the easiest to replace. 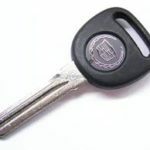 You can get Cadillac keys made by the right locksmith company while you wait. You also need to state your car model as well as the year when your car was released. You may be searching for the right Cadillac car key replacement. You know that your car key remote may have issues too. Will the Cadillac remote needs to be replaced as well? We excel in providing Cadillac key FOB programming. Our locksmiths will not be surprised anymore if you need to have the car key remote replaced. You can call us to get a quotation. We will try our best to assess your current situation. Remember that not all of your car problems can be solved with Cadillac car key replacement. Your car may have underlying problems that need to be resolved soon. By providing the replacement, we can help buy you some time so that you can get to the root of the problem. One of the possible problems you may encounter is your ignition. You may need to have your ignition replaced. How will you know what you need? You can contact us soon. Our locksmiths will be able to provide your needed services. Having a push-button ignition is a sign that you already have a more luxurious and modern car than the usual. When you have this type of ignition, this means that you have a key FOB. This needs Cadillac key FOB programming if something goes wrong with it. Let us know if this is the Cadillac car key replacement that you require. Let us know if you need full key replacement because this will take longer. Choose if the key replacement is an emergency situation or if you would rather have it scheduled. Emergency replacement is going to cost more money.